Bangladesh produces various kinds of fruits. Every season has its special fruits. They differ in size, colour and taste. In this post, I will share with you some about fruits of Bangladesh appear below. The mango is the most popular fruit. It is called the king of fruits. The sweet and special varieties like Langra, Heem Shagar, Fazli and Mohonbhog are grown in the districts of Rajshahi, Dinajpur and Bogra. The jackfruit with its rough and prickly skin is the largest of all fruits and also popular lice mangoes. It has soft and sweet juicy cells which are yellow in colour. The banana and the coconut are the common fruits found in all seasons. The water of the green coconut is the most refreshing and most useful drink. Oranges and pineapple are also juicy fruits grown mainly in Sylhet. The plum of Natore is very tasteful. We get the guava and the pine-apple with the beginning of the rainy season. The common fruits like lichis, lemons, black-berries, wood-apple, papaws, dates are found everywhere in the country. Watermelon which gives us refreshing watery juice is found in summer. I like them according to my taste with the least concern of their food value. 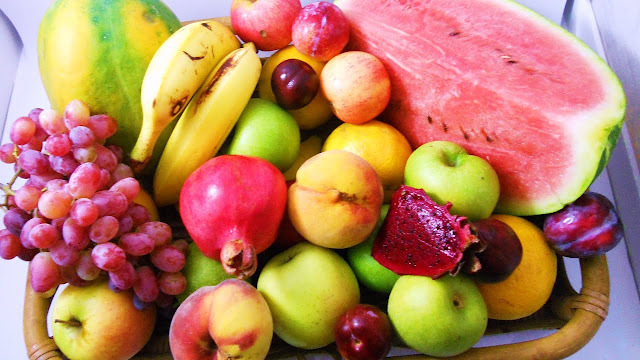 Mangoes, oranges, pine-apples, guavas, plums and watermelons are my favourite fruits. I like mango most. Bananas are good but I don’t like eating this fruit. I have the habit of tasting almost all kinds of fruits throughout the year but I eat them very casually. All fruits are rich in food value. They give us plenty of vitamins and mineral salts which protect us from diseases. The food problem may be greatly solved by growing more fruits in the country of Bangladesh. Fruits may also be taken as an important export item to earn foreign exchange. Maybe, now you can gather some knowledge for fruits of Bangladesh.